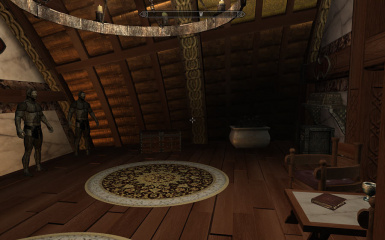 A Display Room with mannequins, display cases, weapon racks, a bookshelf and an extra chest for the Original Suite and the Classier Version. Bethesda, for another fun game. 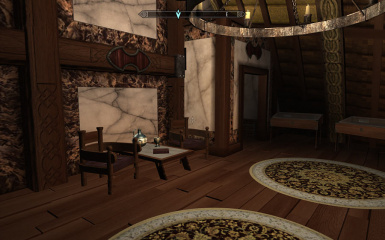 Classier version fix for a little clipping issue of the picture behind the main bed, clipping with the back wall when standing far away on the other side of the room. Original version just put on the same version number. The Display Room is located behind the master Bedroom, accessable thru a doorway left of the main bed. It adds 5 mannequins, 3 single Weapon displays,2 double Weapon displays with shields, 2 display cases, a bookshelf and 1 extra chest. I thought about how nice a display room would be in my favourite player home and I didn't like the idea of an extra cell for it. I didn't want to add to the cellar, because who likes to go to a dark place to display their valueables. 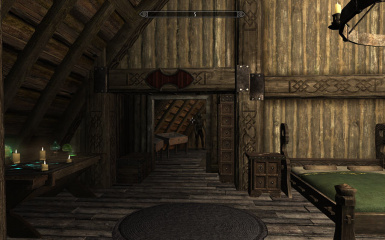 I also wanted to keep the overall feeling intact and so I decided to go for the solution of putting a ceiling in the kitchen and place the room above it. There are different files for the original Suite or if you run the suite with Rip88s Classier Suite (which I really recommend). Just pick the file you need, but only one ;) . For the classier version there are 2 optional files provided by rip88 in case you run the 1k or the 0.5k version. 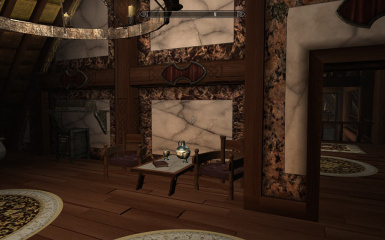 "A Classier BB Luxury Suite" v 5.0 or higher by Rip88 http://skyrim.nexusmods.com/mods/19866 if you want to run the classier version. Insure BBLuxurySuiteDisplayRoom.esp or BBLuxurySuiteClassierDisplayRoom.esp, is turned on depending on what version you installed. Use the NexusModManager to autoinstall. IMPORTANT: Make sure the file is loaded after the BBLuxurySuiteClassier.esp in your load order if you run the classier version. 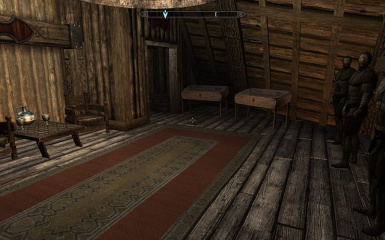 Mannequins are still bugged, so it is highly recommended to use: Vanilla Mannequin Script Fix by SLuckyD http://skyrim.nexusmods.com/mods/10652 or any other mannequinn fixer. If you like mannequins you probably have something like this already, to prevent the mannequins from doing weird stuff. 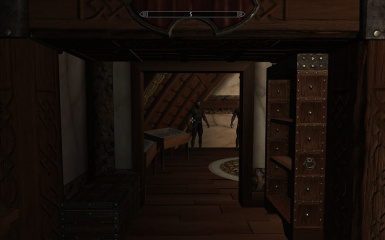 To activate the new bookshelf, you need to leave the suite and come back in, in case your last savegame before installation was inside the suite. 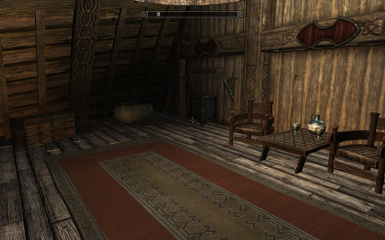 If running the classier version and this mod is not AFTER "BBLuxurySuiteClassier.esp" in your load order. There will be a wall blocking the entrance into the room.